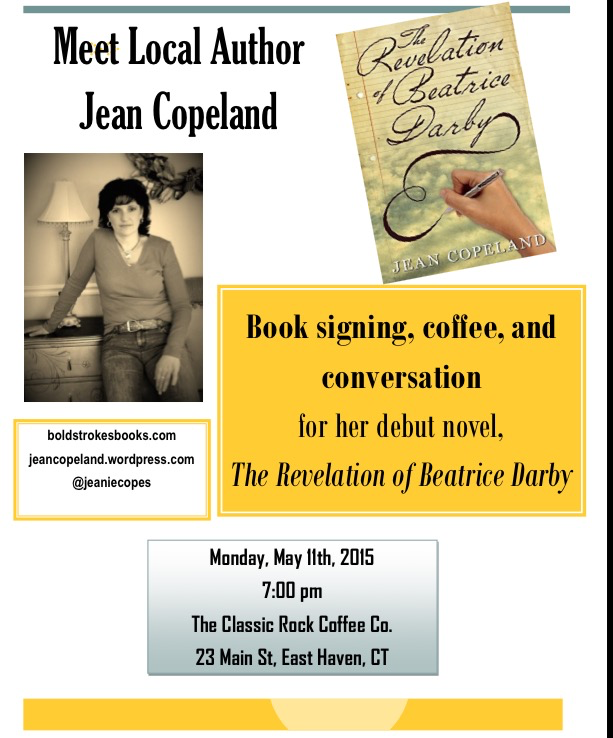 The Revelation of Beatrice Darby Book Signing! Please join me to celebrate the release of my debut novel! Buy a signed book for $15 or have me sign your copy! Jean Copeland is a Bold Strokes Books author.